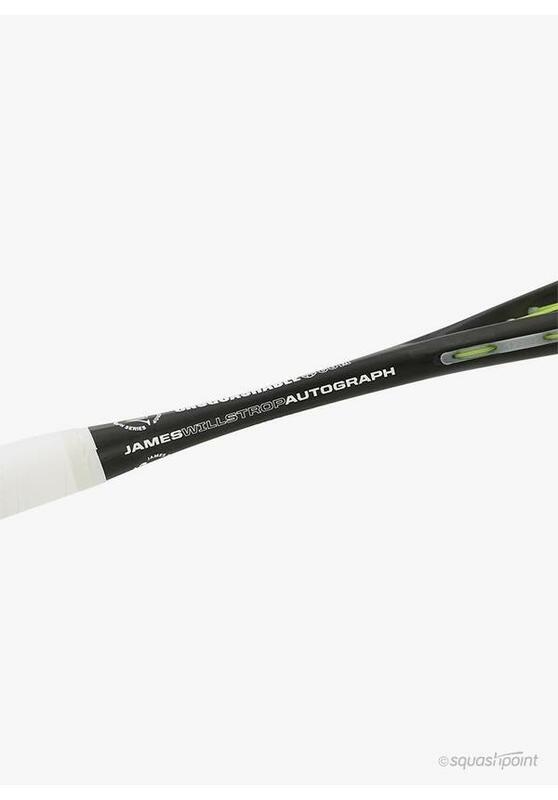 The UNSQUASHABLE James Willstrop Autograph is the choice of the English world top player. This racket has been developed in cooperation with this former world number 1 and tailored according to his personal preferences. You can recognize the UNSQUASHABLE James Willstrop Autograph by the orange colour of the UNSQUASHABLE logos. 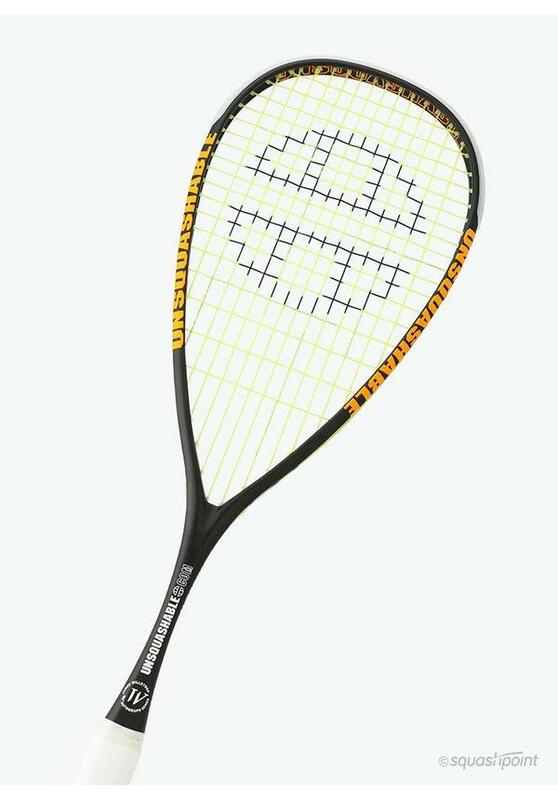 The UNSQUASHABLE James Willstrop Autograph is an ideal racket for players who like to play fast and aggressive squash. 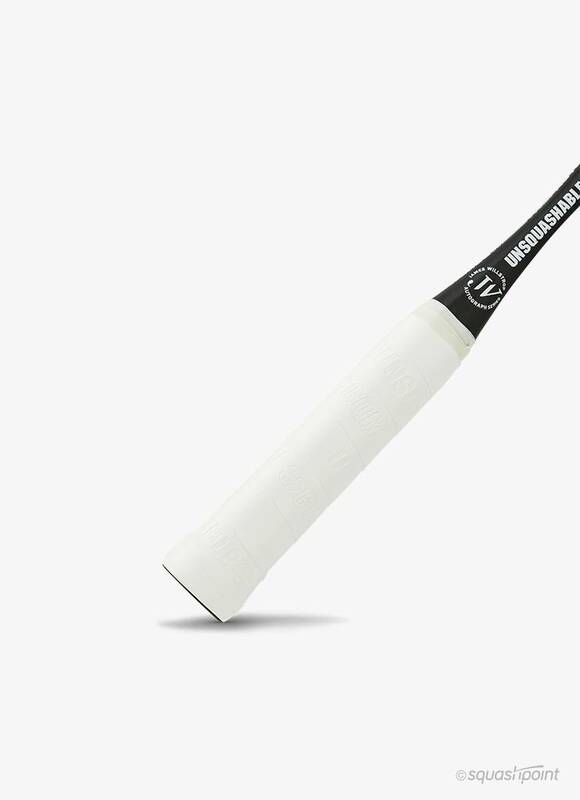 Because of the streamlined shape of the frame and the low balance point, this racket is very manoeuvrable and you can easily generate a lot of racket acceleration. 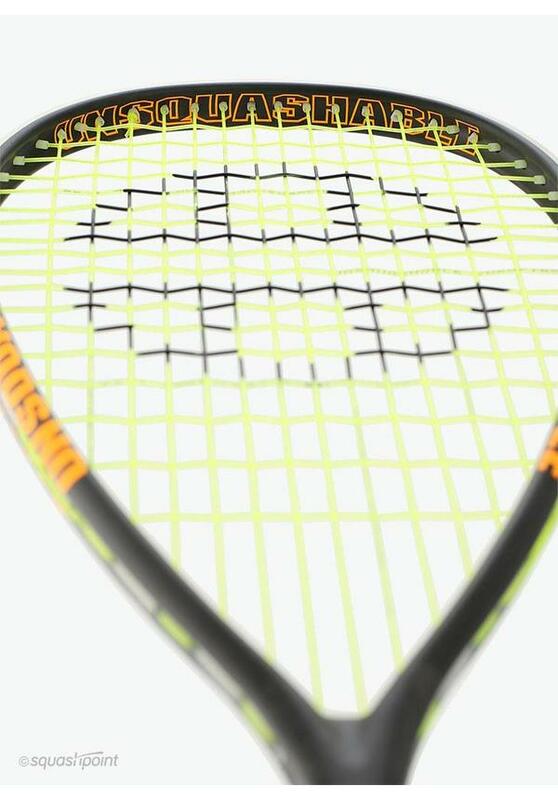 Hitting hard is easy because of the drop-shaped head, with the strings running all the way down to the shaft. 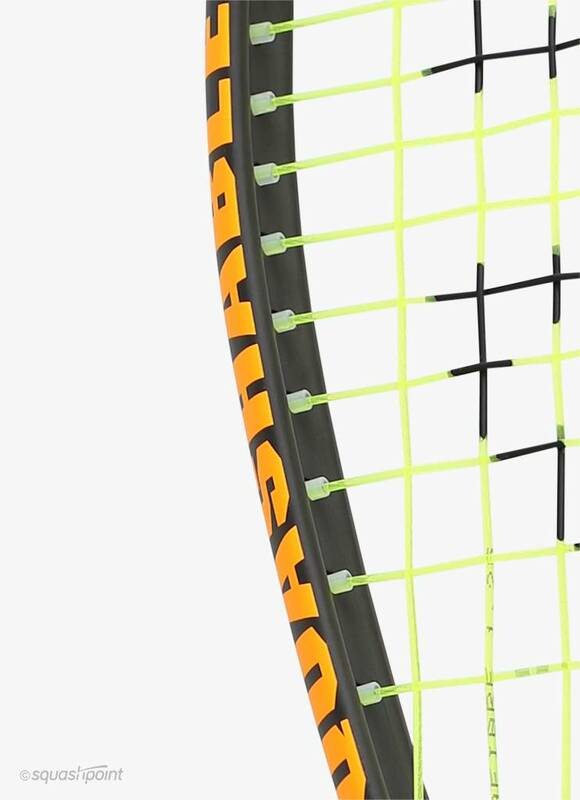 This kind of design gives the length strings more freedom of movement and the ball gets extra acceleration during a shot. 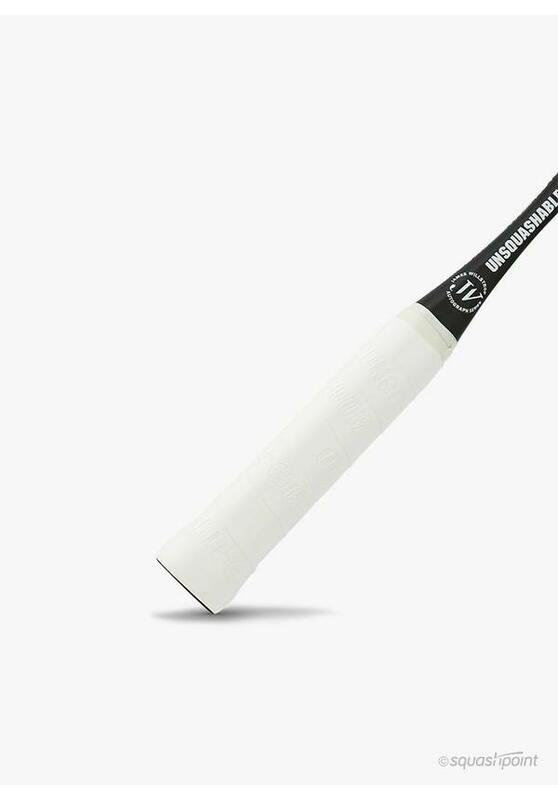 Furthermore, the diameter of the shaft increases considerably which provides even more power. 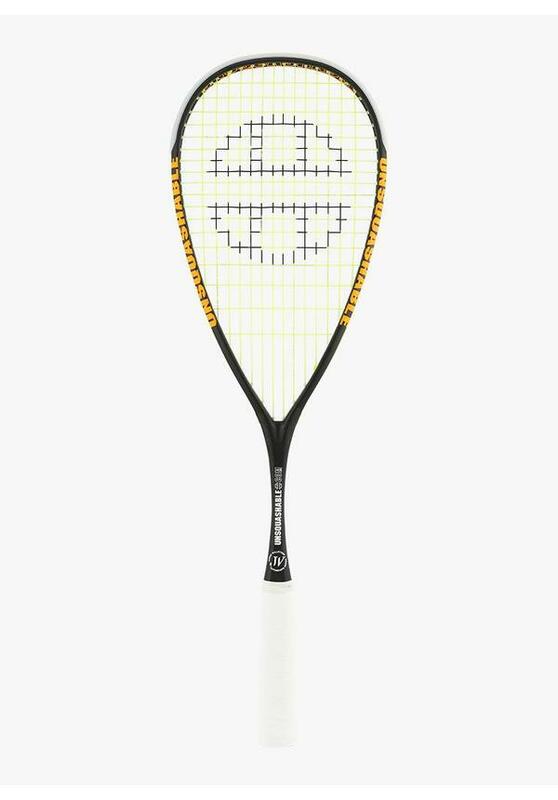 The frame of the UNSQUASHABLE James Willstrop Autograph weighs only 120 grams and feels very light. 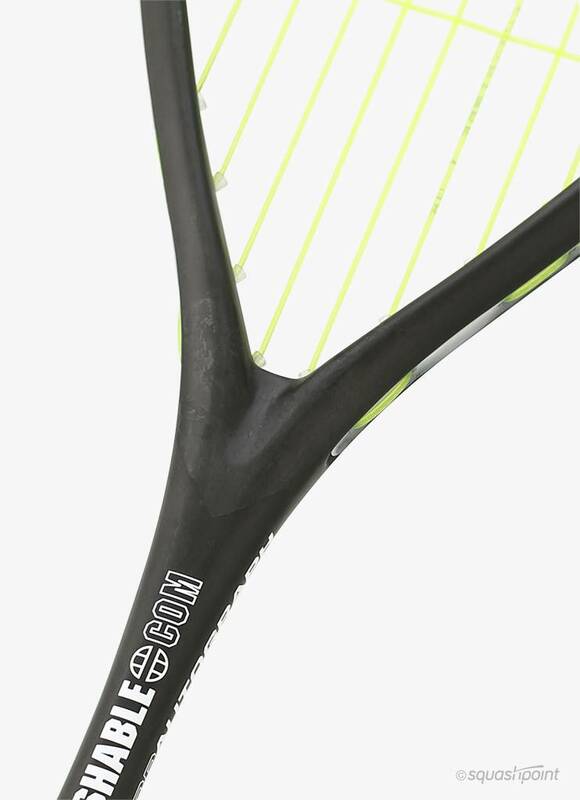 The racket is very forgiving due to the concave cross-section of the frame in the hitting zone: the racket has a large sweet spot (= the ideal place to hit the ball) and you can control the ball well even if you hit it closer to the frame. 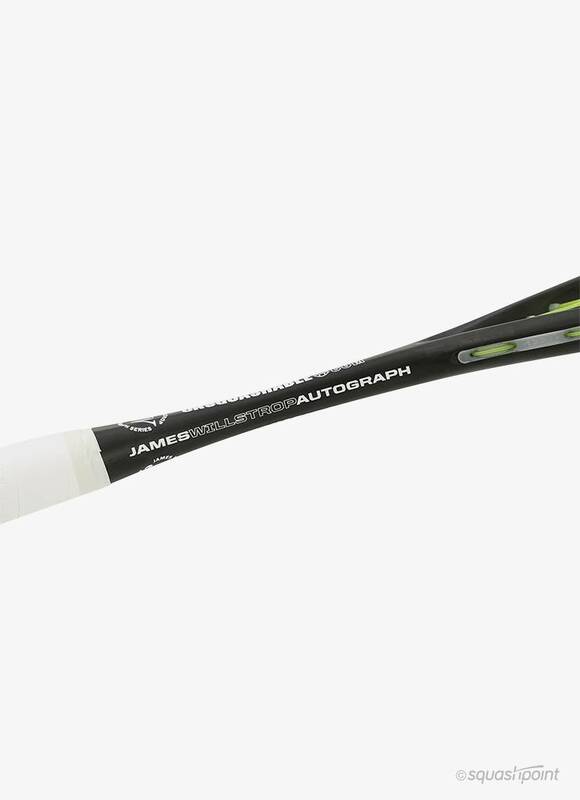 The addition of CarbonWeave in certain strategic places in the frame of the UNSQUASHABLE James Willstrop Autograph results in a very strong construction. 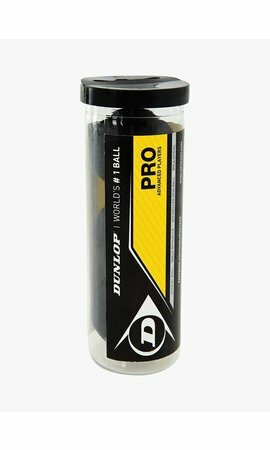 Furthermore, this material, woven in multiple directions between the graphite, significantly reduces unwanted vibrations. The UNSQUASHABLE James Willstrop Autograph has a unique feel and the feedback you get from the strings is fantastic. 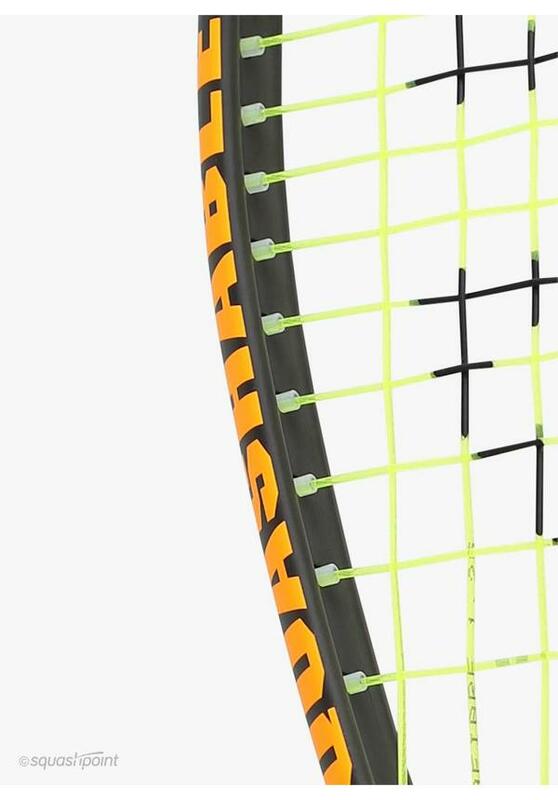 The yellow Durafibre 1.25 string gives you a lot of touch and allows you to place the ball very accurately. 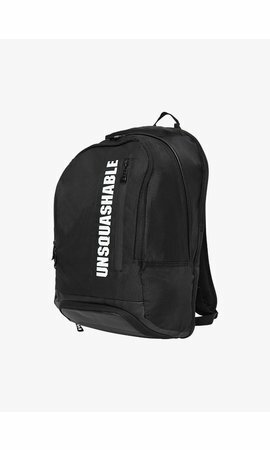 James is known for his amazingly precise shots which have earned him the nickname of 'The Marksman'. 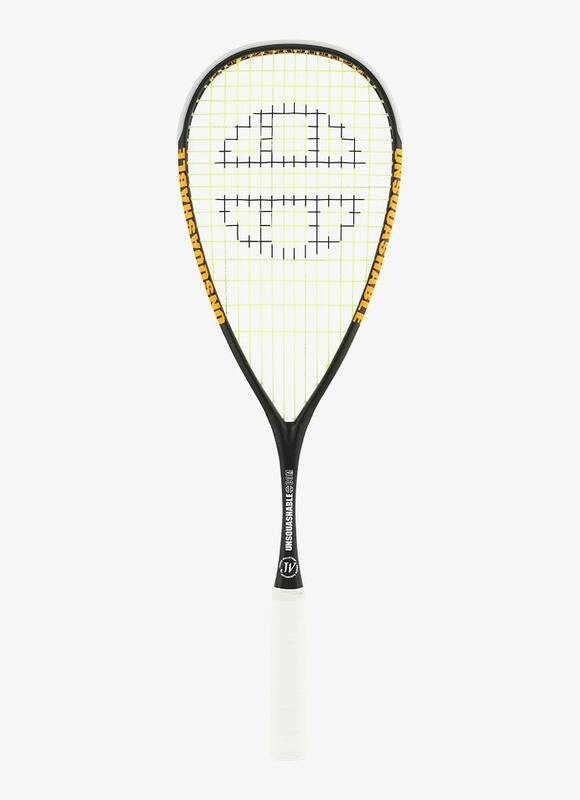 The 'signature' racket by James Willstrop.